Debra Liva is Recipient of 2016 Diane Lipton Award for Outstanding Advocacy - Council of Parent Attorneys and Advocates, Inc. The COPAA Board of Directors is pleased to announce that The Council of Parent Attorneys and Advocates, Inc. has chosen Debra Liva as the recipient of the 2016 Diane Lipton Award for Outstanding Educational Advocacy on Behalf of Children with Disabilities. The award is presented at our annual conference on Saturday, March 12, 2016 in Philadelphia, PA. The award is given to an individual or group of individuals who have made a particularly exceptional and outstanding contribution to COPAA's primary mission: obtaining high-quality educational services for children with disabilities, and honors the memory of Diane Lipton, a tireless advocate for children with disabilities for over two decades. 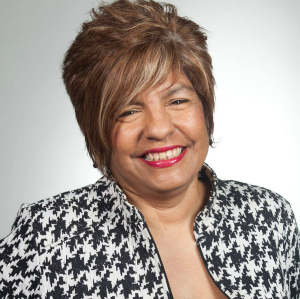 She began as a parent-advocate on behalf of her own daughter, Chloe, who had been placed in a segregated school, separated from her peers without disabilities by a chain link fence. Diane became an attorney for the Disability Rights Education and Defense Fund (DREDF), where she championed the civil rights of children with disabilities. We always receive many worthy nominations for this prestigious award. This year the committee nominated Debra in recognition of her exceptional and outstanding contribution to obtaining high-quality educational services for children with disabilities in Texas. Debra's embodiment of COPAA’s mission; service to families, including those who speak Spanish as a first language; establishment of the organization In the Child's Best Interest (ICBI) to support families; and, her role in the development of a community of advocates recogni zed under TX law as professionals dedicated to ensuring that children receive a free appropriate public education are some of the many examples of Debra's service and commitment. Debra volunteers a great deal of time to such organizations as Child Protective Services, Juvenile Courts, Municipal Courts, National Autism Association of North Texas, Texas Parent to Parent, and various family support groups to educate parents, caregivers and caseworkers of the basic rights under IDEA and the ARD (IEP) process in the Texas public school system. She has participated as a moderator for TACA Roundtable (Talking About Curing Autism), acts as a resource for many health care providers from therapists, psychologists, hospitals, counselors, as well as the Jewish Family Service in the area of the Special Needs population. 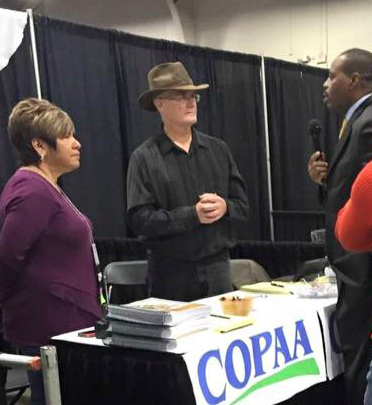 This past January Debra was part of the inaugural MLK Day of Service in Dallas with fellow colleagues and COPAA members educating parents about their educational rights and the rights of their children - not dependent on economic, educational, and/or social status. Debra will receive the award at the COPAA conference luncheon on Saturday, March 12, 2016 at the Philadelphia Loews Hotel. Please join us in congratulating Debra, and we hope to see you there. Congratulations Debra! Thank you for leading the way! Congratulations Debra Liva! We appreciate you! A family and child of Ms. Liva's services, Charles, Kristie and C.C. Cripps.